Fine. 0140590129 ALL BOOKS SHIPPED WITHIN 1 DAY OF PURCHASE! Good. 0140590129 ALL BOOKS SHIPPED WITHIN 1 DAY OF PURCHASE! Good. No Jacket. Size: 19 to 25 cm tall, Octavo, (8vo); Private Bookplate. 362 pages. 1st class post to the UK, Airmail worldwide. Robust packaging. Good. DJ is price clippedwith edge wear and some tape residue marks to rear. Clean & bright content with gift message to ffep. Boards have little wear. Ex Library Book with usual stamps and stickers. Darkened tan to the page edges. Good condition is defined as: a copy that has been read but remains in clean condition. All of the pages are intact and the cover is intact and the spine may show signs of wear. The book may have minor markings which are not specifically mentioned. Most items will be dispatched the same or the next working day. Very Good. The Worm Forgives the Plough: While Following the Plough. Down to Earth (Penguin Country Library) by Collis, John Stewart. Trade paperback (US). Glued binding. Good. 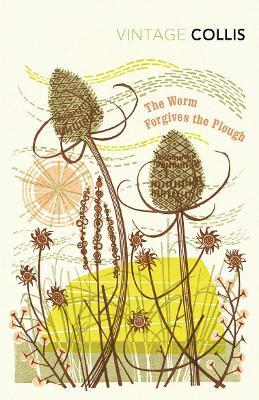 The Worm Forgives the Plough: While Following the Plough. Down to Earth (Penguin Country Library) by Collis, John Stewart. Trade paperback (US). Glued binding.